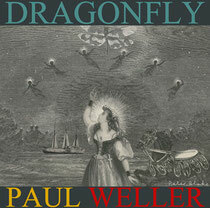 Paul Weller finishes off 2012, which saw him land a Number 1 album with ‘Sonik Kicks’, with the release of the ‘Dragonfly’ EP on December 17th. The EP is a collection of hidden tracks brought together for the first time from the critically acclaimed ‘Sonik Kicks’ album recording sessions. The digital version will be accompanied by a strictly limited numbered edition of 3000 vinyl copies of the ‘Dragonfly’ EP. The artwork has been specially commissioned by Peter Blake – the first time he has collaborated with Weller since he designed the ‘Stanley Road’ album sleeve in 1995. As well as ‘Dragonfly’, the release also features various bonus tracks and former B-sides all which have not been available on vinyl before now. ‘Lay Down Your Weary Burden’ and ‘We Got A Lot’ were on the Japanese version of ‘Sonik Kicks’ and on the ‘When Your Garden's Overgrown’ EP, ‘Portal To The Past’ was on the ‘Dangerous Age’ single, ‘Devotion’ featured on the deluxe album and Japanese album, and finally, ‘The Piperwas’ on The Attic EP. 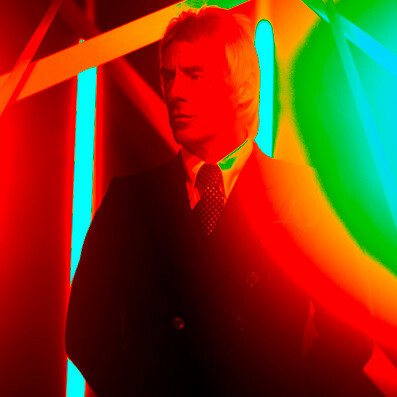 The EP is exclusively available from www.paulweller.com. Having just recently finished playing a few live shows in the US and Japan, Paul will be performing at an intimate invited audience / competition winner only show at Abbey Road studios tonight. He will also be heading up the annual Crisis benefit show at the Hammersmith Apollo on the 19th December with guest Miles Kane and special guest Emile Sande.